Do you feel like a slave to your sugar cravings? Are you tired of processed foods and family friendly meals that claim to be healthy but really, are anything but. Are you tired… of being tired? The truth is, you CAN quit sugar and feel absolutely great… with my 30 Day Sugar Detox online nutrition course. 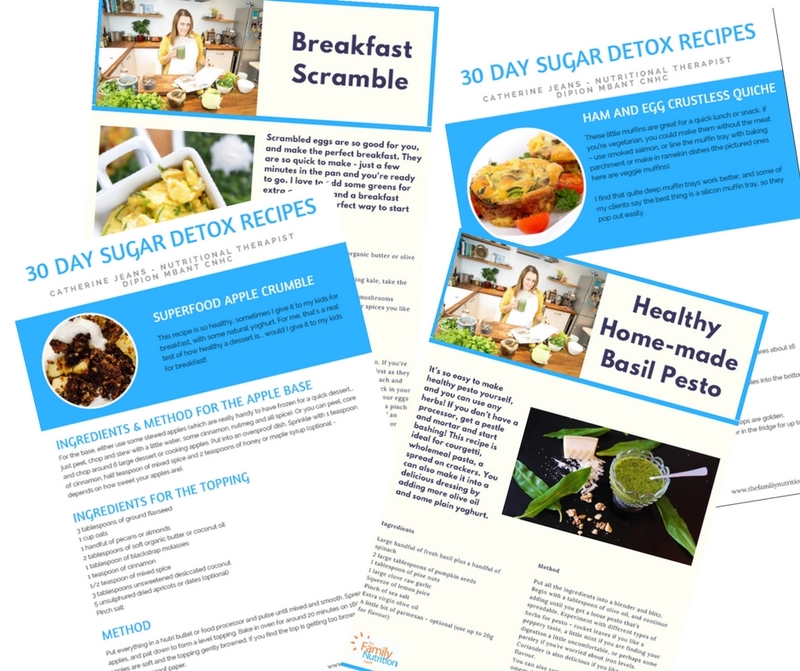 Buy the 30 Day Sugar Detox ecourse now! The 30 Day Sugar Detox is a super simple (and super effective) online program that takes you from sugar addict to sugar free in just 4 weeks! Giving up sugar is easier than you think, especially when you’ve got a fully qualified and experienced Nutritional Therapist in your corner. I’ve helped thousands of clients across the globe to get a grip on their daily eating habits, replacing high-sugar, low nutrition foods with healthy, wholesome food that helps you and your family to look and feel great! The 30 Day Sugar Detox can help. It’s packed with information, resources meal plans and recipes that until recently I only shared with my private clients. And what’s more, it’s yours for a fraction of the price you’d pay for a one-to-one consultation! I’ll teach you how to provide your body with nourishing foods that support abundant energy, optimal health and well being. You get immediate access to all seven modules and supporting documents and once you’re in, you’re in for life! Any updates I make are yours for no extra cost. You can take the program in your own time and at your own pace. Feel like you’re on a sugar rollercoaster and you can’t put on the brakes? Sugar wreaks havoc on your body. It causes blood sugar highs and lows, mood swings and uncontrollable cravings. It puts pressure on your liver and other internal organs, damages your skin and makes it oh-so-easy to carry a few extra inches around your middle. It’s time to get off the ride. The 30 Day Sugar Detox is a simple but highly effective program that gets results. 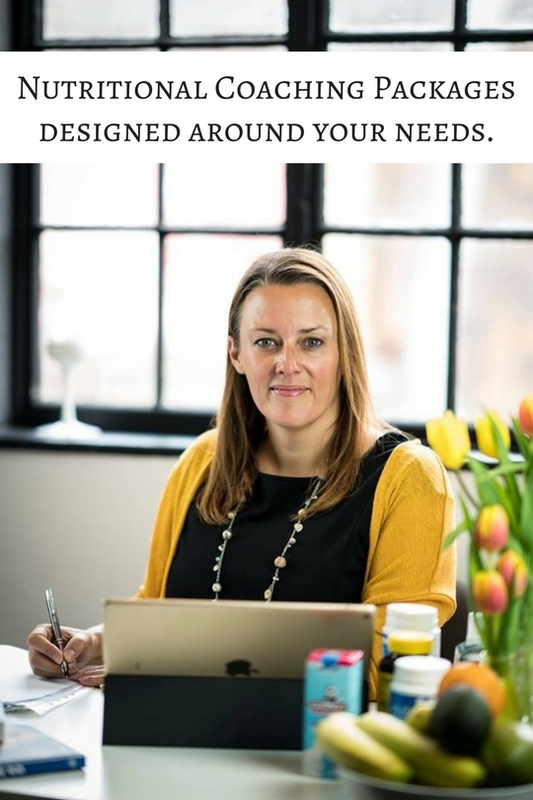 It includes 7 easy-to-follow modules, videos, meal planners, shopping lists, recipes, top tips and a free copy of my popular ebook: Junk Food to Super Food. You’ll also get exclusive access to my Secret 30 Day Sugar Detox Facebook Group, where I’ll be online every week to answer any questions and help keep you on track. 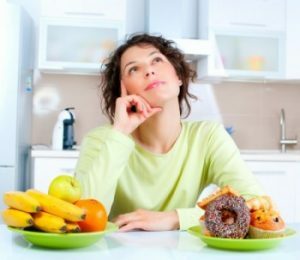 Banishing sugar from your life isn’t easy, you need a clear plan and lots of motivation! The 30 Day Sugar Detox includes everything you need to ditch sugar cravings. The truth about sugar in the food and drink you consume everyday and how it affects your body. How you could be putting yourself and your family at risk of health complications, obesity and life-changing diseases. How to read food labels and identify what tricks food manufacturers use to lure you into thinking a product is healthy, when if fact it’s anything but! Delicious recipes for breakfast, lunch and dinner, plus easy-peasy snack ideas. How to break your addiction to sugar once and for all… and how your body might react. Easy-to-follow meal plans that the whole family will love. How to stay sugar-free for life! This isn’t a diet and I’m not going to take away your favourite foods, instead I’ll show you healthier ways of preparing meals and how to pack your diet with great food that looks and tastes great.